For the most part, I listen to the messages at church. Every now and then, my mind gets to wondering and I make notes to myself, so I can remind myself to blog about a topic or thought. On this particular Sunday, this was the case. When Pastor Ray does the opening prayer and such and he says in his prayer for our minds and hearts to be cleared and to hear the message, I have to say that I kind of feel guilty when I start making notes so I can cover them later. This last Sunday the sermon was out of Luke 21:1-19 and the Message is, “For My Name’s Sake” I want to do a post on about how Pastor Ray was talking about how everyone will hate those who proclaim the name of Jesus. I have no problem if people hate me because I believe in Christ. 5 Some of his disciples were remarking about how the temple was adorned with beautiful stones and with gifts dedicated to God. But Jesus said, 6 “As for what you see here, the time will come when not one stone will be left on another; every one of them will be thrown down.” 7 “Teacher,” they asked, “when will these things happen? 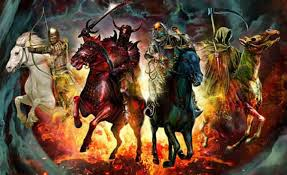 And what will be the sign that they are about to take place?” 8 He replied: “Watch out that you are not deceived. For many will come in my name, claiming, ‘I am he,’ and, ‘The time is near.’ Do not follow them. 9 When you hear of wars and uprisings, do not be frightened. These things must happen first, but the end will not come right away.”10 Then he said to them: “Nation will rise against nation, and kingdom against kingdom. 11 There will be great earthquakes, famines and pestilences in various places, and fearful events and great signs from heaven. 12 “But before all this, they will seize you and persecute you. They will hand you over to synagogues and put you in prison, and you will be brought before kings and governors, and all on account of my name. 13 And so you will bear testimony to me. 14 But make up your mind not to worry beforehand how you will defend yourselves. 15 For I will give you words and wisdom that none of your adversaries will be able to resist or contradict. 16 You will be betrayed even by parents, brothers and sisters, relatives and friends, and they will put some of you to death. 17 Everyone will hate you because of me. 18 But not a hair of your head will perish. 19 Stand firm, and you will win life. The end times is a subject I take very serious. As I was jotting down my notes, I couldn’t help but think about how blessed I am to live where I do. For the most part, I have never experienced the types of persecutions many brothers and sisters in Christ have experienced in other countries. People are loosing thier lives as I type this blog post out. Every day people are dying for thier faith. For me, the most persecution I get is if someone doesn’t agree with what the Bible says and they let me know that there is no God or they believe in another God. I get hot under the collar on that one. I can’t begin to understand what those Christians that are being beheaded, hung and murdered because they believe in God and have accepted Jesus Christ as thier Lord and Savior are going through. Here in the United States, I don’t know if we are considered a Christian nation anymore. Political correctiveness doesn’t allow discussions on what it means to live a life that is entirly focused on Christ. There is a firestorm waiting for you for standing up for your faith and for Christ. In the media there have been a number of people or businesses that come to mind when I say that you will be persecuted for your faith. Some of those people would include Kirk Cameron, Chick Fil A, Duck Dynesty and so on. Pastor Ray was bringing up how businesses were being shut down because the owners refused to buckle and do what was against thier beleifs. There has been a number of businessed that have been closed for this very reason. Humans for the most part have longed to be loved and accepted. 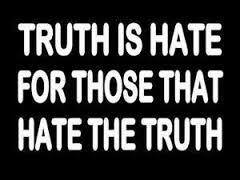 When we use the term “hated”, we have a hard time accepting the fact that there are those out there that hate us and want us dead. We are told that the world will hate us because they hate Jesus. Jesus is hated because Jesus is the Light of the world. Since we are beleivers in Christ we are the light of the world and the salt of the earth. A world that is dark and filled with sin and our world is more resistant to Christianity than ever. On social medias I have found that the popular thing is to talk about acceptance and tolerance of other faith, What I find moreso is the true reality is that our world and country is tolerant of anything and everything but not the moral values of Christianity. 1st Peter 4:12-13 says, ? Dear friends, do not be surprised at the painful trial you are suffering, as though something strange were happening to you. But rejoice that you participate in the sufferings of Christ, so that you may be overjoyed when His glory is revealed. Matthew 24:9 Jesus says, ? You will be handed over to be persecuted and put to death and you will be hated by all nations because of Me. 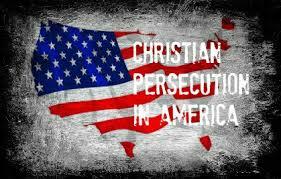 In closing I just want to say is that if we live the way Jesus calls us to live, we will be persecuted. As a Christian, I would hope that people would know I am a beleiver in Christ through my words and actions. I also understand that persecution of one kind or another will come my way. If it didn’t, I would need to examine what it is that I am doing wrong that tells those around me that I am a Christian. Through my own struggles I have had to 120% lean on Christ and my faith no matter how difficult my life gets. At the end of the day, Christ is who has my life in His hands. When we face illness and heartbreak and even death we can be asssured that God and our faith is real.